For easy wedding wedding centerpieces, just replicate this design. While it looks terrific, it was actually very easy to do – no wedding decorator required! Three clear glass cylinder vases of varying heights are grouped at the center of the table. After filling the vases with water almost to the top, tulips on the stem are inserted into the vase and submerged into the water. Five clear glass votive candle holders are positioned around the cylinder vases, encircling them. Pink rose petals are scattered around the cylinders and votive holders. Then, at each place setting, a deep pink votive candle holder is placed, creating a visual ring around the centerpiece. Beautiful wedding table decorations that are pure genius in their simplicity. Simple but beautiful ! 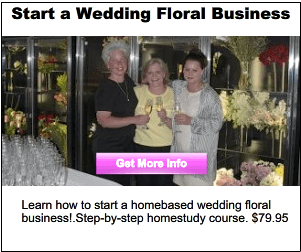 I love this site…finding awesome ideas for my June wedding !! Thanks so much ! Your very welcome Alisa! We’re glad you love the site, and the ideas we feature. We add more ideas all the time so keep coming back for more inspiration 🙂 You can also subscribe to receive our ideas via email (just enter your email address in the subscribe box just above the comments). Hope your wedding is amazing! 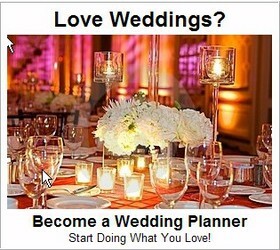 (You might also want to check out our sister-site SoIntoWeddings.com – its like a Pinterest, only its exclusively for weddings. 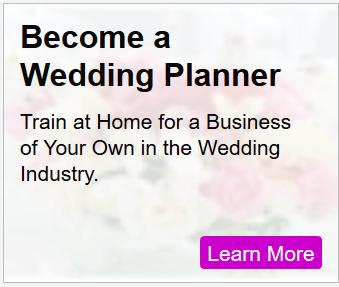 It has just launched so come and be among the first brides to get it rolling! We’re giving away a Martha Stewart Wedding Ideas DVD collection (4-DVD set) to the top pinners! Our pleasure – glad you enjoy!